Safety is the most important element of every job. It is our #1 priority to keep you, your family, the general public, your employees, your property and our staff safe at all times. Trust is hard to earn and easy to lose. We have built our reputation on the trust clients have put in us. At Eason Painting we make your investment in us our top priority second only to Safety. You can trust that we will deliver you the highest quality products and service on time and on budget. Reliable fast friendly service with a smile. We do not make promises that we cannot keep. We have the greatest respect for you and your time. Our time is money and so is yours. We always arrive to your job on time and also finish within set deadlines. Experience is the key ingredient in completing a job right the first time. Eason Painting is a second generation company that has been built from years of hard work , perseverance and dedication. Knowing which products to use and what situation to use them is important to job performance. Eason Painting has all the necessary equipment to complete your job in the most efficient and cost effective manner. No worries about cutting corners or unsafe work practices due to not having the proper tools or equipment to get the job done. The most important aspect to every paint project is Proper Surface Preparation. The quality of all paint jobs is only as good as the surface it is applied to. All painting projects require different preparation techniques depending on the existing surface. On behalf of Kevin Eason, President of Eason Painting and his brother Chuck Walters, Vice President – we would like to thank you for your interest and support of Eason Painting, Inc. We personally guarantee 100% customer satisfaction and believe in building a successful business by cultivating “Customers for Life”. We will conduct our operations according to the highest professional standards and code of ethics. 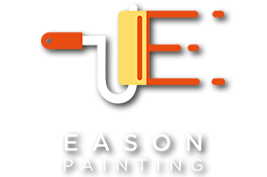 Eason Painting will deliver to you a professional staff, fair pricing and accurate estimates.. Eason Painting will ensure the use of quality materials, be most cost effective and offer the highest quality of workmanship to all our clients. We will practice four key principals Integrity, Professionalism, Reliability and Trust. We will do whatever it takes to earn your business. 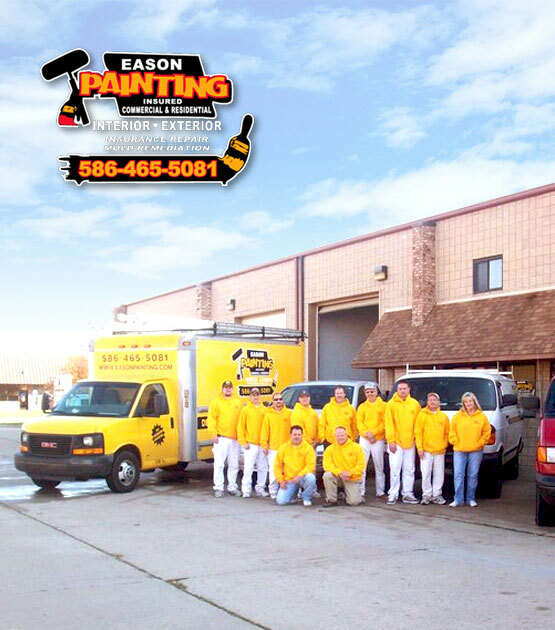 Eason Painting was established in 1998 and has continued to grow every year. Our company meets your needs with the quality that can only come from years of experience. Our expertise involves all aspects of preparation, painting, drywall and construction. We are certified in Mold & IAQ Testing and Certified Mold Remediation. We have also completed training in Fire and Smoke Restoration, Water Damage and Flood Restoration, as well as Odor Control Technicians by the IICRC Institute of Cleaning and Restoration Certification. To always keep safety our # 1 priority. It is crucial to Eason Painting’s success to create customers for life and 100% customer satisfaction. To always listen to our customers needs. To never let anything get in the way of our firm belief in quality. In order to be successful we will have to perform all of the above in a courteous, timely and honest manner which will allow our company to grow. When we are successful it allows us to better serve our clients and employees.